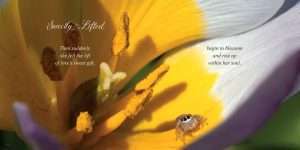 I was commissioned for Photoshop of images and then book design for this inspirational coffee table book. My client had a very rough Word Doc to start with. It had been edited, but the spreads were broken into 400 single pages. After a consult I worked out that the job was about 100 hours, so to best get a great result I broke the job into 5 to 6 template designs (10%) and then artwork (90%). 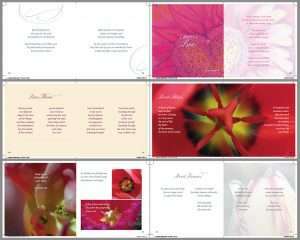 By doing this the client had a very clear idea of what the book would look like within the first 5-10 hours. 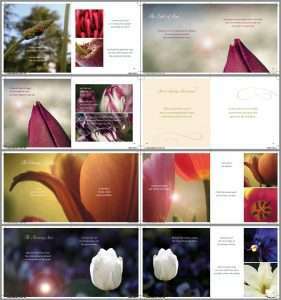 Once the master pages (templates) were approved I populated the remaining 150 pages with the edited content.